There are 2 ways to change the status of your forms. 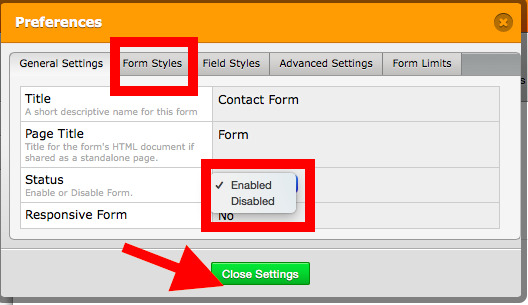 While on the "My Forms" page, click the form that’s status is to be changed click on the More button. 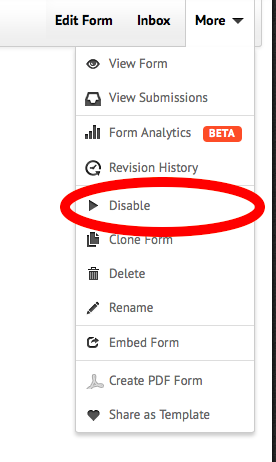 From there, change the form's status by clicking either Disable or Enable. 1) Click on Preferences button. 2) Click on General Settings. 3) Change the Status from Enabled or Disabled, then click on Close Settings.